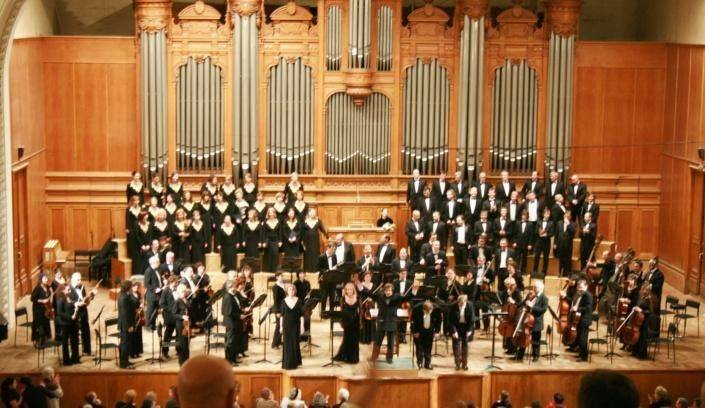 The average organ concert ticket in Moscow costs between 400 and 2,000 rubles. 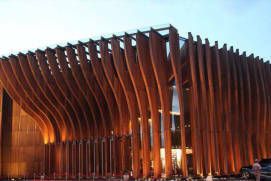 Moscow’s best-known organ hall is the Tchaikovsky Concert Hall. It often welcomes outstanding organists from Russia and abroad. 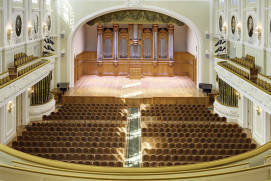 Many celebrated organists, however, consider the organ in the Svetlanovsky Hall of the Moscow House of Music to be Moscow’s best organ. 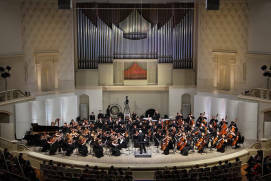 The Moscow State Tchaikovsky Conservatory, located on Bolshaya Nikitskaya Street, has several organs. The Catholic Cathedral of the Immaculate Conception of the Holy Virgin Mary on Malaya Gruzinskaya Street, hosts church music concerts 3 or 4 times a week. Organ music is extremely popular, and it is said that organ is the king of music instruments due to the impression it leaves on the audience. A full-fledged organ music concert implies attending a hall with good acoustics and a particular atmosphere. Luckily, such halls are found throughout the capital, so you can attend an organ concert almost any week of the year. 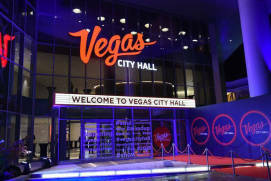 Ticket prices vary, starting from 400 and going up to 1,000 RUB. 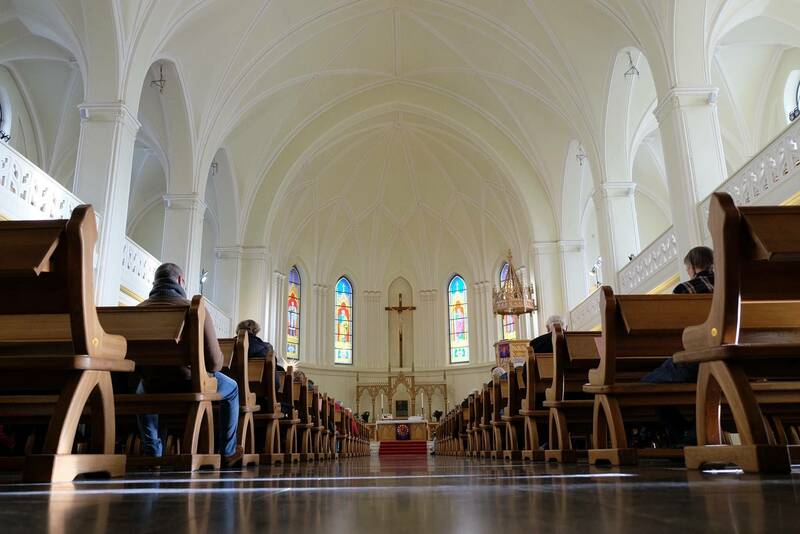 Catholic and protestant churches in Moscow sometimes give free concerts that anyone can attend. 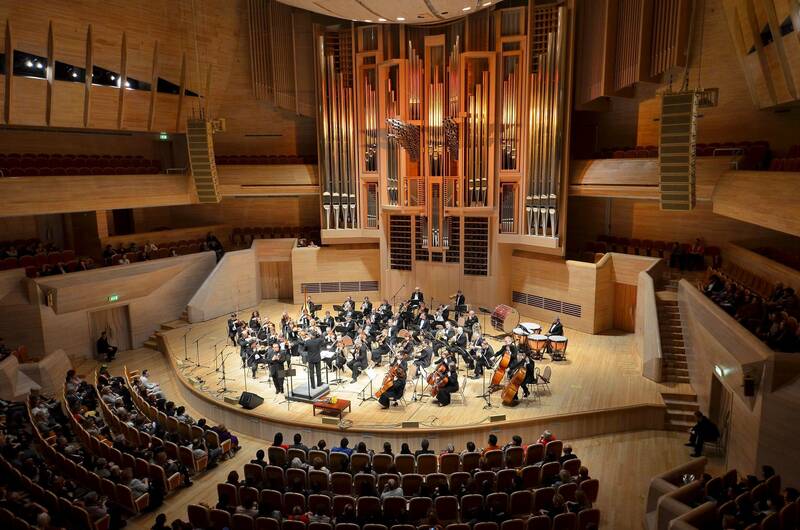 Moscow’s most popular pipe organ in the Tchaikovsky Concert HallRussian: Kontsertny zal im. P. I. Chaikovskogo or Концертный зал им. П. И. Чайковского can be found at 31/4 Tverskaya StRussian: ulitsa Tverskaya or улица Тверская. This 7,800-pipe, 81-stop instrument was installed by Czech builders in a 1,500-seat hall in 1959 and has been used many times for international festivals of various organ music genres since then. 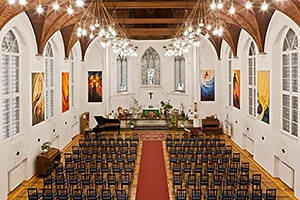 The historic concert hall has been recently refurbished to improve its acoustics. 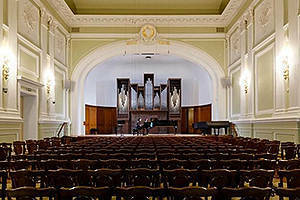 The hall regularly hosts the organ festivals Nine Centuries of OrganRussian: Devyat' vekov organa or Девять веков органа and Music of Christian Divine ServicesRussian: Muzyka khristianskikh bogosluzheniy or Музыка христианских богослужений, which gather the best famous organists from Russia and abroad. 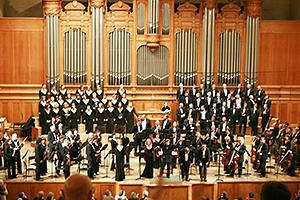 Organ concerts are given on average 1 or 2 times per month, and the price range of tickets is 500–1,500 RUB. The pipe organ of the Moscow International House of Music Russian: Dom muzyki or Дом музыкиat 52/8 Kosmodamianskaya EmbankmentRussian: Kosmodamianskaya naberezhnaya or Космодамианская набережная is a grandiose instrument. It has 5,582 pipes and 84 stops. Arriving in 2004 and then being installed in Svetlanov Hall,Russian: Svetlanovskiy zal or Светлановский зал this giant of German origin is astonishing in both its size and unique sound. Some notes are even produced at infra- and ultrasound frequencies. This organ has been recognised as the best in Russia by many of the world’s outstanding organists who have performed in Svetlanov Hall, including Matthias Eisenberg, Winfried Bönig, Jean Guillou, Leo van Doeselaar, Gunnar Idenstam, Andrew Koenning, and others. The instrument creates an unspeakable unity between the audience and music in the beautiful 1,700-seat hall with fantastic acoustics. Ticket prices range from 300 to 1,500 RUB. There are a few organs in the Moscow State Tchaikovsky ConservatoryRussian: Moskovskaya konservatoriya im. P. I. Chaikovskogo or Московская консерватория им. П.И. Чайковского, both in its halls and the auditoria at 13 Bolshaya NikitskayaRussian: Большая Никитская St. The one in the Small Concert HallRussian: Malyi kontsertnyi zal or Малый концертный зал is considered to be the best. Although it is not particularly large, it is favoured by most performers and listeners, even more so than the modernised French instrument of the Great HallRussian: Bolshoy kontsertnyi zal or Большой концертный зал. 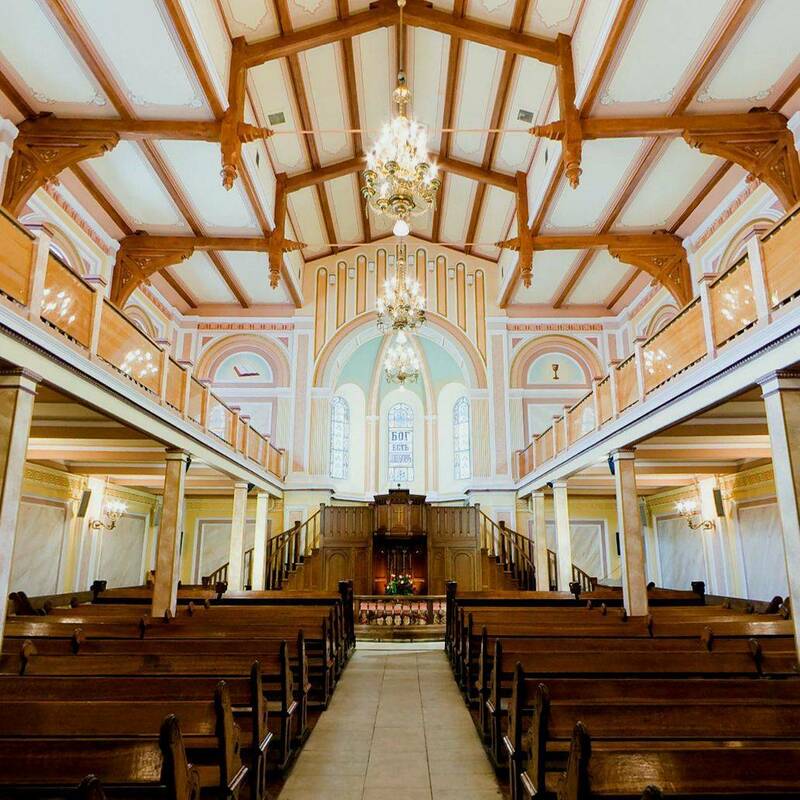 The pipe organ, built by the German company Alexander Schuke, fits well into the intimacy of the cozy, 400-seat Small Hall with its excellent acoustics. Twenty-six stops and two manuals produce a unique sound. The instrument was installed in 1959 and is particularly great for playing Baroque music. 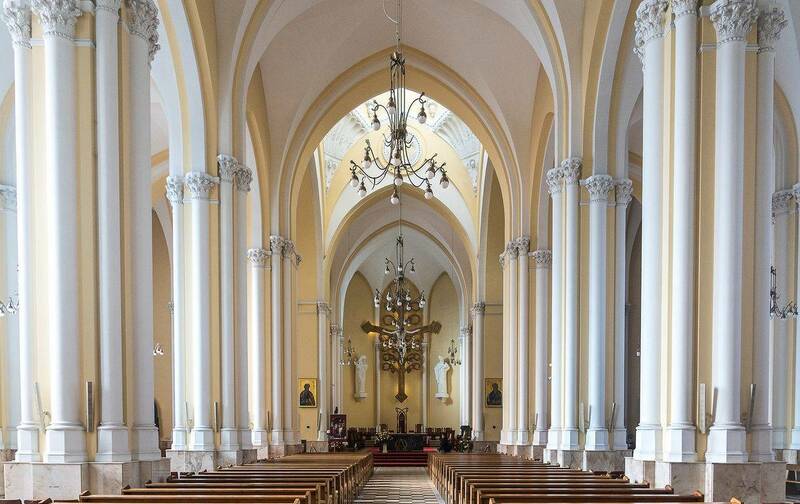 A Swiss Kuhn organ has been installed in the Cathedral of the Immaculate Conception of the Holy Virgin MaryRussian: Sobor Neporochnogo Zachatiya Presvyatoy Devy Marii or Собор Непорочного Зачатия Пресвятой Девы Марии at 27/3 Malaya Gruzinskaya StRussian: Malaya Gruzinskaya ulitsa or Малая Грузинская улица. This is the third largest pipe organ in Moscow, a favourite of such international organists as Jacques van Oortmerssen, Winfried Bönig, Juan Paradell Solé, Juan de la Rubia, Theo Flury, etc. Organ concerts from different epochs are perfomed in the 400-seat church hall on Wednesdays, Fridays and Sundays for both Catholics and those of other denominations. The organ is played by Russian organists, e.g. Marina Omelchenko, Yekaterina Melnikova and Anna Vetlugina; international organists are also often invited. Tickets cost from 500 to 2,000 RUB. The Moscow Central Church of Evangelical Christian-BaptistsRussian: Tsentralnaya evangelistskaya tserkov' or Центральная евангелистская церковь at 3 Maly Tryokhsvyatitelsky LaneRussian: Maly Tryokhsvyatitelskiy pereulok or Малый Трёхсвятительский переулок also gives organ concerts, including free performances for everyone on the last Sunday of every month. The 37-stop pipe organ was built by the German master Ernst Röver and mounted in the 500-seat church hall as far back as 1898. It has preserved its original sound and is well-loved by musical experts. Music by Handel, Bach, Mozart and Tchaikovsky performed by Russian organists features here frequently. Baroque music is reproduced in an exceptionally beautiful way by the 19th-century pipe organ that has survived in the Lutheran St. Peters and Paul’s CathedralRussian: Lyuteranskiy Kafedralnyi sobor Petra i Pavla or Лютеранский Кафедральный собор Петра и Павла at 7/10 Starosadsky LaneRussian: Starosadkiy pereulok or Старосадский переулок. 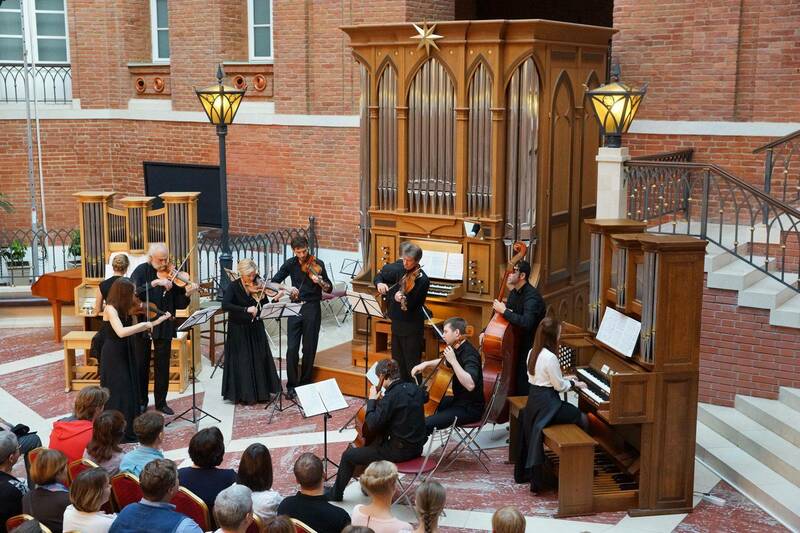 Music of Baroque and other genres is performed at public concerts in a 1,700-seat hall by organists Anna Klykovskaya, Kristina Spektrova, Anna Suslova, Marianna Vysotskaya, Vyacheslav Zolotovsky, Ivan Tsaryov, Jean-Pierre Steijvers and others, often accompanied by the orchestra. Concerts are usually given at the end of the week, have a formal dress code, and cost 500–2500 RUB per ticket. St. Andrew’s Anglican ChurchRussian: Anglikanskiy sobor Svyatogo Andreya or Англиканский собор Святого Андрея at 8 Voznesensky LaneRussian: Voznesenskiy pereulok or Вознесенский переулок holds pipe organ concerts a few times per week in a 400-seat hall. The British organ by Brindley and Foster with 18 stops and two manuals is often played by high-caliber organists, including winners of international competitions. 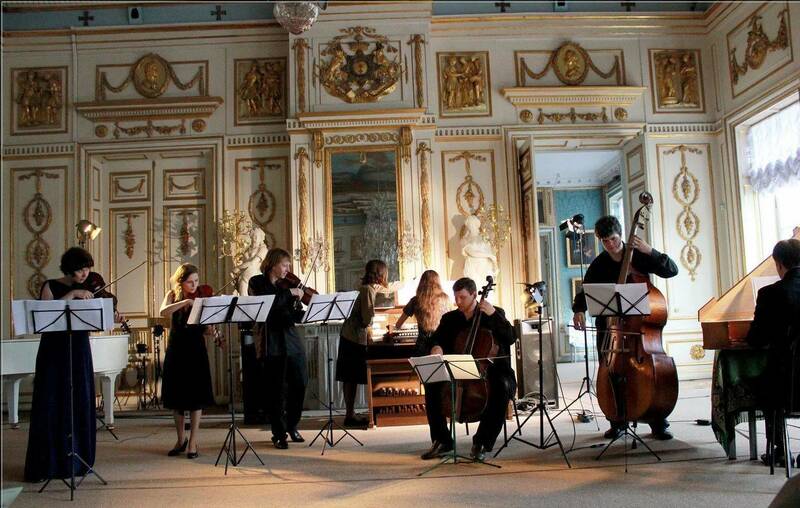 The repertoire consists of masterpieces of Renaissance period, Baroque and modern classics. Tickets cost from 800 to 1,200 RUB. The Concert Hall of the Glinka Music Culture MuseumRussian: Kontsertnyi zal Muzeya muzykalnoy kultyry im. M. I. Glinki or Концертный зал Музея музыкальной культуры им. М. И. Глинки at 4 Fadeeva StRussian: ulitsa Fadeeva or улица Фадеева is very popular as well. The 28-stop, two-manual organ of 1976, a masterpiece by German organ builder Friedrich Ladegast, is perfect for playing German romantic music. There is also a neo-Baroque Schuke organ built in 1979 in the museum. 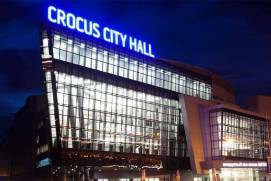 Concerts are not infrequent in the 150-seat hall, with ticket prices ranging from 500 to 1,000 RUB. Organ concerts are sometimes performed in the atrium of Bread HouseRussian: Khlebnyi dom or Хлебный дом in TsaritsynoRussian: Царицыно (1 DolskayaRussian: Дольская St). Built in Germany in 2008, the 12-stop portable organ is small in size, but comfortable, its sounds melding beautifully with the orchestra. Classical music makes up the bulk of the repertoire. 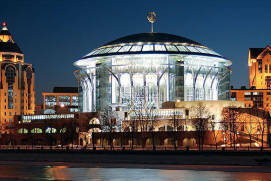 Tickets for Saturday concerts in the 200-seat hall cost 400–1,000 RUB. A small Viscount digital organ is the main instrument at the festival Organ Evenings in KuskovoRussian: Organnye vechera v Kuskovo or Органные вечера в Кусково, held in the dancing saloon of the palace of Sheremetev EstateRussian: usad'ba Sheremetevykh or усадьба Шереметьевых in KuskovoRussian: Кусково at 2/1 Yunosti StRussian: ulitsa Yunosti or улица Юности. Classical organ concerts are held a few times a week in a hall that seats 200 people. Ticket prices start from 500 RUB. Other places to listen to organ music in Moscow include the Organ Hall of the Gnessin Russian Academy of MusicRussian: Organnyi zal Rossiyskoy muzykalnoy akademii im. Gnesinykh or Органный зал Российской музыкальной академии им. Гнесиных at 1 Maly Rzhevsky LaneRussian: Malyi Rzhevskiy pereulok or Малый Ржевский переулок, the Concert Hall of the Moscow Conservatory Music CollegeRussian: Kontsertnyi zal Akademicheskogo muzykalnogo uchilischa or Концертный зал Академического музыкального училища at 11 Merzlyakovsky LaneRussian: Merzlyakovskiy pereulok or Мерзляковский переулок, the Concert Hall of the Central Music SchoolRussian: Kontsertnyi zal Tsentralnoy Muzykalnoy shkoly or Концертный зал Центральной Музыкальной школы at 4/5 Kislovsky LaneRussian: Kislovskiy pereulok or Кисловский переулок, and the Pushkin State Museum of Fine ArtsRussian: Gosudarstvennyi muzey izobrazitelnykh iskusstv im. A.S. Pushkina or Государственный музей изобразительных искусств им. А.С. Пушкина at 12 VolkhonkaRussian: Волхонка St. Organ concerts are not held on a regular basis here, but they may be incorporated into other events.